In the TV news roundup today are new teasers for Superstore season three and Young Sheldon, as well as casting news for The Punisher. 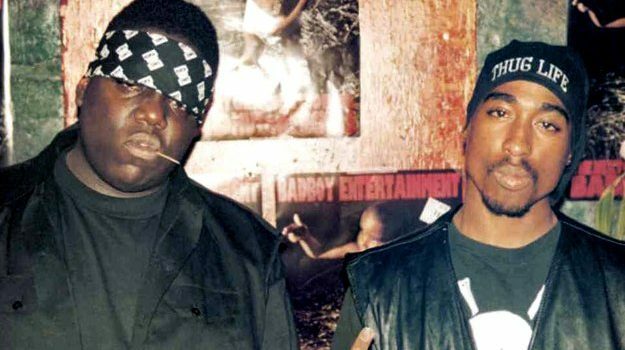 FOX has announced a two-hour investigative special on the murders of Tupac Shakur and Christopher “Notorious B.I.G.” Wallace. Hosted by Ice-T and Soledad O’Brien, Who Shot Biggie and Tupac? will re-examine both homicides, providing new details and featuring interviews with former private investigators, police officers, informants and hip-hop insiders. The special, part of a recent wave of true crime content and coming ahead of a USA scripted anthology about the murders, will air Sunday, September 24th at 8:00. TLC has renewed acclaimed genealogy show Who Do You Think You Are? for another season, which should see its debut in spring 2018. The series, from Lisa Kudrow and Dan Bucatinsky, follows celebrities as they trace their family trees and learn more about themselves along the way. Entertainment Weekly is reporting that Oscar nominee Shohreh Aghdashloo (The Expanse) will be recurring on Marvel’s The Punisher as Farah Madani, a successful psychiatrist who’s the mother of Homeland Security agent Dinah Fadani. Netflix has released a new teaser for the upcoming fourth season of Black Mirror. NBC has released a new promo for the upcoming third season of Superstore, which follows Cloud Nine as it recovers from the recent tornado. Season three is set to premiere Thursday, September 28th at 8:00. CBS has released a new promo for Young Sheldon, its Big Bang Theory spinoff that follows Sheldon Cooper as a child growing up in Texas. The series premieres Monday, September 25th at 8:30 before moving to Thursdays beginning in November. SundanceTV has released a new teaser for upcoming miniseries Top of the Lake: China Girl, which will air as a three-night event September 11th – 13th.